...it'll be time for the Winter Wonderland Web Hunt! 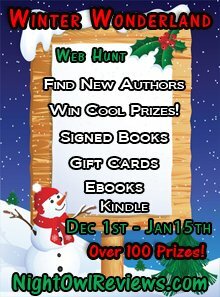 The new web hunt begins on December 1st and ends on January 15, 2011 at midnight, PST. Make sure to come back here on December first to find the Winter Wonderland hidden graphic, and click it to be entered to win. Click the image below to be taken to NOR's website for more information.